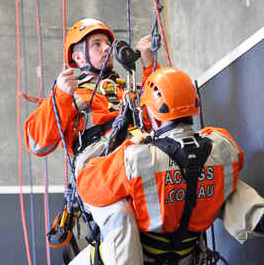 Get your IRATA training from Sydney’s leading experts in IRATA rope access. We will teach you every skill you need to know so you can work in exciting careers that can literally take you to the top of the town. You’re 30 metres off the ground, suspended on a platform that’s only a metre wide and two metres long. At this height, every gust of wind just feels so much more powerful than it does on the ground. Up here, it all seems so quiet. The noise and chaos of the city traffic below you are lost in the distance, almost like the people below really are the ants that they appear to be in your view. When you are IRATA qualified, it opens up a lot of possibilities for you in a job category where qualified workers are always in demand and always pays well. Atlas Access provides the best IRATA training in Sydney, and we have courses available all year round. When you study for your IRATA qualification with Atlas Access, you get comprehensive training from qualified and experienced instructors in a hands-on environment. Your safety is assured, but you will also have the opportunity to really challenge yourself and discover what you are able to do. You will learn all the skills to enable you to work safely and effectively in places most other people would avoid working. It may be tough, but the rewards are worth it, and you will feel like there’s no challenge that can stand between you and success. 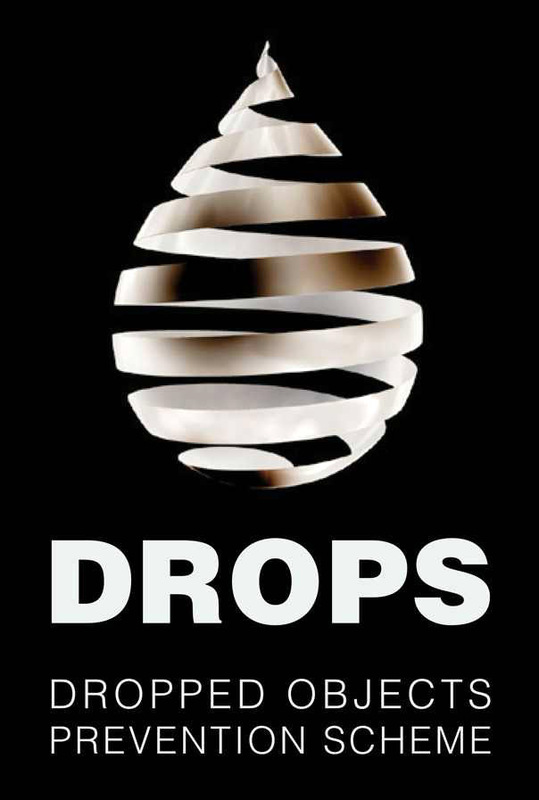 Work Safely at Heights (RIIWHS204D) – exactly as the name suggests, you’ll learn to work safely at heights. This involves much more than you may be expecting. Mainly you will understand how to interpret and identify risk, as well as the appropriate actions to take to minimize risk. 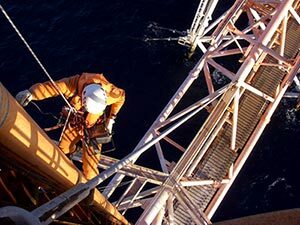 Enter and Work in Confined Spaces (RIIWHS202D) – rope access work can sometimes involve working in more challenging environments like confined spaces. In this unit you will learn all you need to know in order to be able to do this safely. Operate Breathing Apparatus, Open Circuit (PUAFIR207B) – working in confined spaces and in certain environmental conditions may also require using artificial breathing apparatus to provide air while you are working. This unit will teach you everything you need to know about operating the equipment properly. Undertake Confined Space Rescue (PUASAR025A) – of all the units you complete; this may be the most important one. When people are trapped in confined spaces, time is of the essence. Personnel who are trained in confined space rescue are vital in these situations. Provide First Aid (HLTAID003) – a comprehensive unit covering the full spectrum of first aid treatment, including basic anatomy and physiology. Perform Tower Rescue (UETTDFR04B) – the most usual, though certainly not the only, situation where the skills taught in this unit will be required is in rescuing people trapped on ESI towers. Perform Pole Top Rescue (UETTDRF02B) – being stuck on top of a pole may possibly feel more distressing than being stuck on top of a tower, so rescuing people from the tops of poles is always a handy skill to have. This unit will teach how to do this safely. Undertake Vertical Rescue (PUASAR032A) – this unit covers all the skills needed for performing vertical rescue operations. To be sure of the best training, choose Atlas Access as your IRATA training provider. 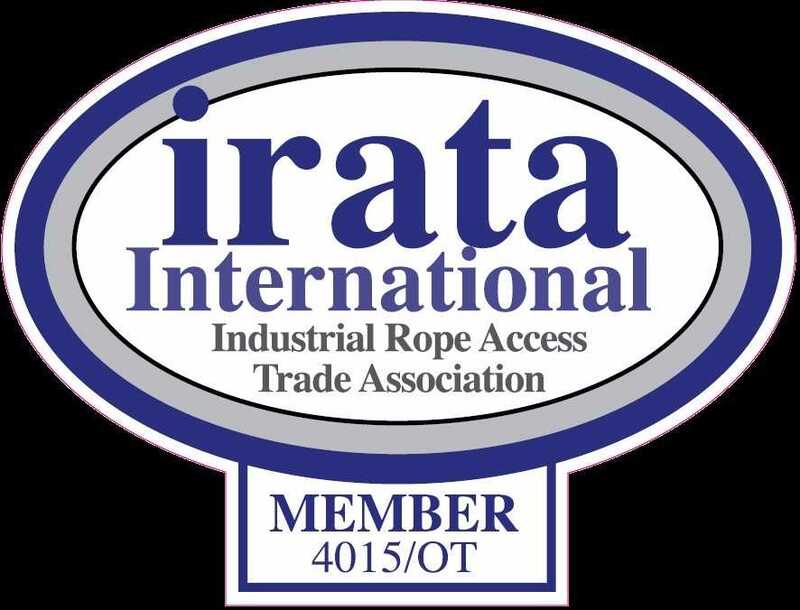 When you learn IRATA rope access, you are gaining more than just a qualification. You’re joining an elite rank composed of the few who dare to work aloft. Successfully completing IRATA training will give you a true sense of achievement. There are few things that can match it, and you’ll have a genuine reason to take pride in what you have accomplished. Through your training you will have learned skills to help you work safely and efficiently, protect yourself and other people from harm, and even to perform rescue operations . This is not ability people are born with. Quite the opposite in fact. Scientific investigation into how the human mind works has found that people are born with an instinctive fear of falling. You may wonder why some people seem to be better able to overcome their fear than others. There is no simple answer to this, but it involves a complex combination of maturation rate, physiological changes, genetic predisposition, and learned behaviours. There’s not much you can do about most of those factors except the last one. Overcoming the instinctive fear of falling is not actually the goal, because that fear is what can save your life when you’re really in danger. There are really two goals to work towards. The first of these is to gain an understanding through experience and common sense that being at heights is not necessarily equivalent to falling. The second is to gain the knowledge and skills to make the first more than just a pep talk. You are aiming to be proficient in moving around safely in the aloft environment while also simultaneously performing work functions. Without the qualification, you have liability stamped all over you. After gaining the qualification, you become a valuable asset because you are much less likely to become injured or to injure others, even on the ground. That’s because IRATA training instils a situational awareness and safety consciousness that stays with you, no matter where you are. Of course, it is also a fact that you need the qualification to legally perform work for which rope access training is a prerequisite. If an employer orders you to perform work aloft without the appropriate training, this is endangering you, your co-workers, and possibly the general public. It’s not a risk you can afford to take. When you know for sure that a job requires mandatory certifications, you should insist on receiving the training prior to commencing any work of this nature. Fortunately, most employers are aware of the need for this training and will make provisions to either make it available to employees or will have a policy of only hiring workers who have the qualification for roles in which it is a requirement. It is this latter category of employers who make the situation such that it is a massive advantage for you to have IRATA training prior to applying for work on a new project.